Oh, don't feel bad ... Humans aren't the only species with skeletons in their closet. Here are eight animals that eat their own -- presented in ascending order of cuteness. 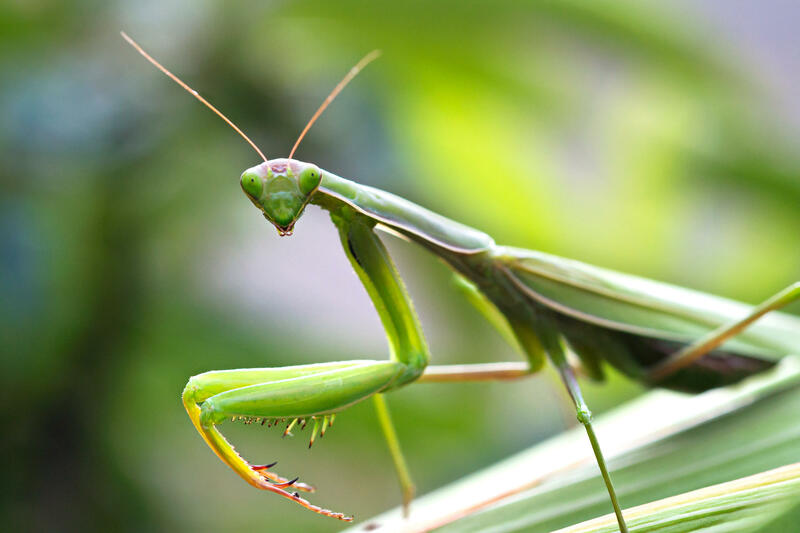 The praying mantis is our #8 cannibal animal. This insect has a heavenly name due to the shape of its front legs, which are bent in a pose suggestive of worship. But less angelic is the praying mantis' reputation as cannibalistic -- specifically the females, who -- while the male is busy, er, making little mantises -- just may behead her lover during the act and eat him. It's thought that in nature this occurs in less than 30% of cases, though. And you really can't blame the female for finding it hard to pass up an easy meal, right? 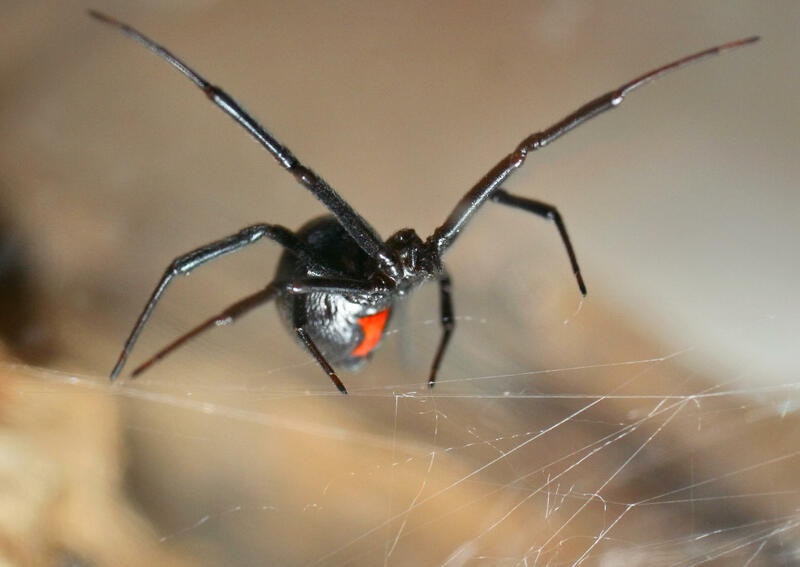 Are male black widow spiders wary of their name at all, you think? Black widow: Her name really kind of says it all ... well, half the story, anyway. Yes, the female members of this notorious species -- the most venomous spider in North America -- may often find themselves bringing up their babies alone, their men having crossed over to the other side. But the other half of the story is that the REASON the black widow a widow at all is because she killed and ate her babies' daddy after mating. In other words, she's a sexual cannibal. Then again, she's a loner, he's half her size, and she's now eating for 500. So why not? The tiger salamander looks friendly, doesn't he? Not so much if you're another tiger salamander, though. While it's common for insects to eat their own, it IS rather unusual behavior for backboned animals. The tiger salamander is an exception -- especially the young'uns. At about four weeks old, some will actually MORPH, developing a wider head and bigger teeth -- all the better to munch on other tiger salamanders. But it KIND of makes sense. 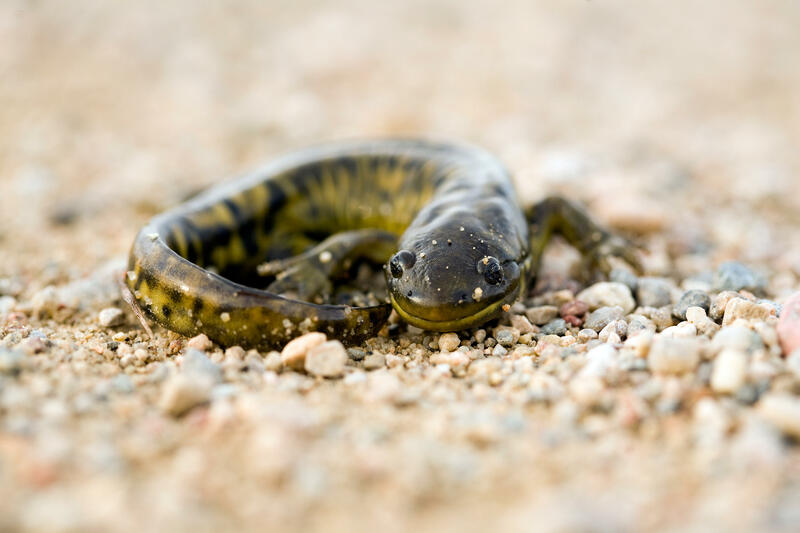 Scientists have found that cannibalism is less likely to occur when the tiger salamanders are being raised among their own blood or in conditions of plenty. So, really, these cannibals are not only getting a good meal, they're clearing the field for their relatives to survive. It's a public service of sorts, really. 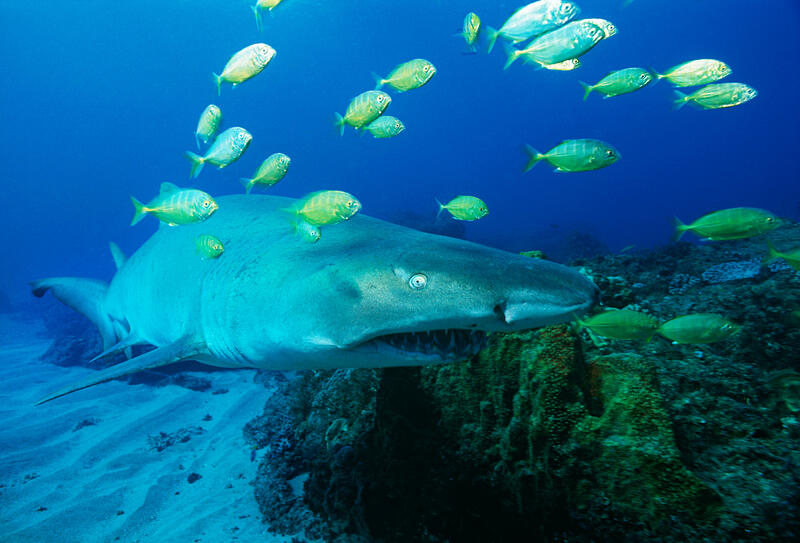 Sand tiger sharks have low birth rates. Go figure. If you watch Shark Week, the prevalence of baby shark cannibalism probably comes as no surprise. There are two kinds of shark in-the-womb cannibalism, though. In the most common and not-so-extreme form, developing embryos feed on surrounding unfertilized eggs -- the key word here being unfertilized. But in the other, more dramatic form of baby shark cannibalism, the biggest and strongest embryo dines on its smaller brothers and sisters until he or she is the last shark standing in mom's uterus. In fact, this extreme sibling rivalry (which tends to lead to a low birthrate, duh) is only seen in one shark species that scientists are aware of, anyway. Yup, it's the sand tiger shark ... most likely your local aquarium's most TRANSFIXING guest. You've heard of the expression "pecking order," right? Well, chickens within a flock have a certain social hierarchy, and they establish that hierarchy with .. pecking. Literally, pecking. This behavior results in drawn blood and torn skin ... and even worse. It can turn into chicken cannibalism. And since chickens have a tendency to imitate each other, once one member of the flock goes all Hannibal Lecter on its neighbors, the rest will follow. 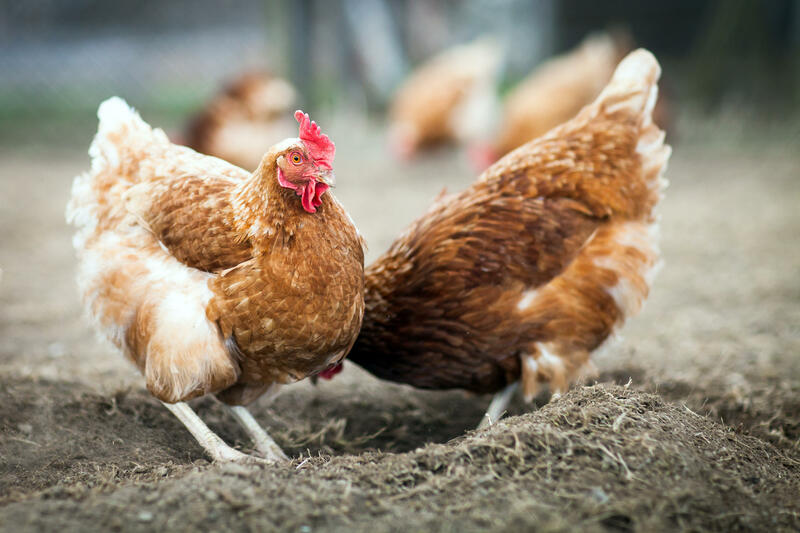 It's not known exactly why chickens are cannibalistic, but scientists have identified some contributing factors, such as overcrowding, limited access to water and food, and the existence of injured or diseased birds within the flock. But it does make you wonder ... does chicken taste like chicken to a chicken? It was Dr. Jane Goodall who first noted that chimps kill and eat baby chimps. Chimpanzees are our closest cousins, and ... they are known to kill and eat babies of their own species. Yes. They are cannibals. It was actually famed primatologist Jane Goodall who first noted this behavior. In 1976, Dr. Goodall observed a mother-daughter duo -- Passion and Pom -- kill and eat at least three chimp infants at Gombe Park in Tanzania; there would have been a fourth, had not Dr. Goodall intervened. All told, Passion and Pom were suspected to have killed and eaten 10 babies within their community over several years. Since then, other scientists have witnessed the same behavior, carried out by females and males alike. Why is still a mystery, whether it be related to issues of overcrowding or male dominance. But then again, is just their nature? 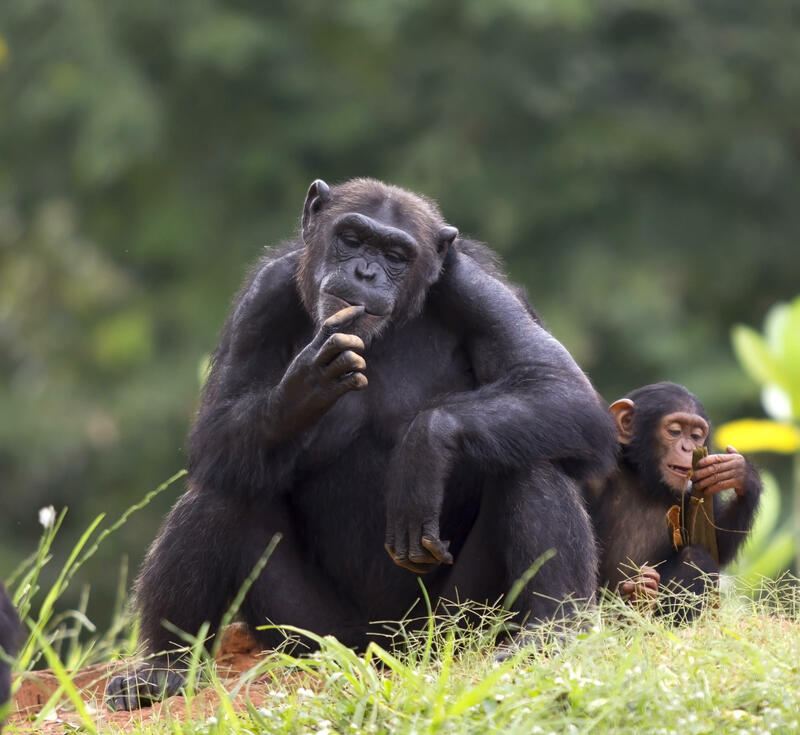 Wrote Jane Goodall in her May 1979 paper, Life and Death at Gombe, "It is sobering that our new awareness of chimpanzee violence compels us to acknowledge that these ape cousins of ours are even more similar to humans than we thought before." Hopefully this mother rabbit isn't too stressed out. That could be bad news for her young. 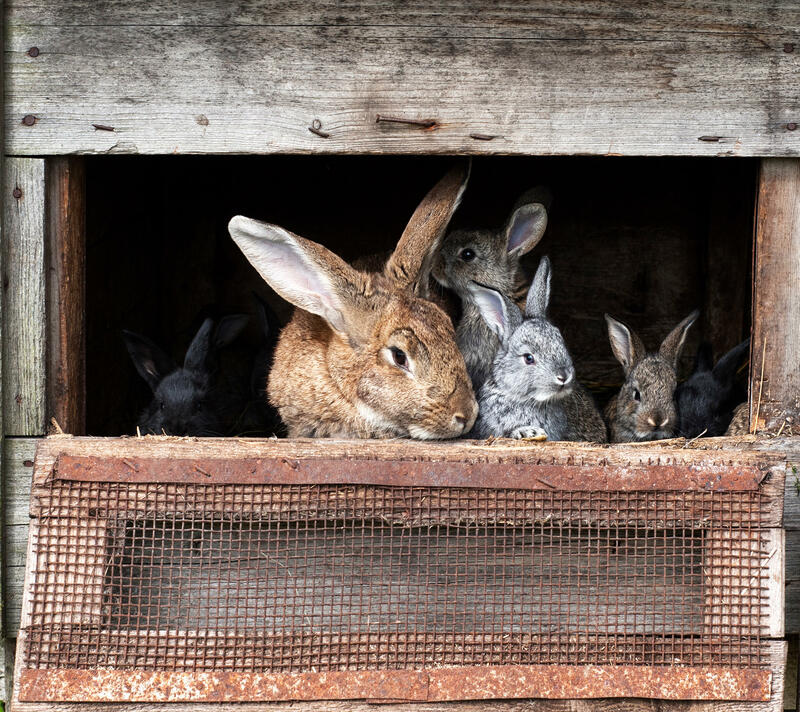 Rabbits are not only cute, they are very, very clean. And so sometimes, a mummy bunny will eat her stillborn or weak babies to keep her nest tidy -- especially if she senses a predator nearby. Well, and she may also kill and eat her young if she's really, really stressed out; really, really thirsty; really, really hungry or really, really cold. In other words, she's KIND of on the edge. So keep her happy and comfortable -- for the GOOD of the CHILDREN. Aw. Isn't he adorable?! If you're a hamster, he might eat you. Aw. So cute. So fuzzy. So ... cannibalistic. 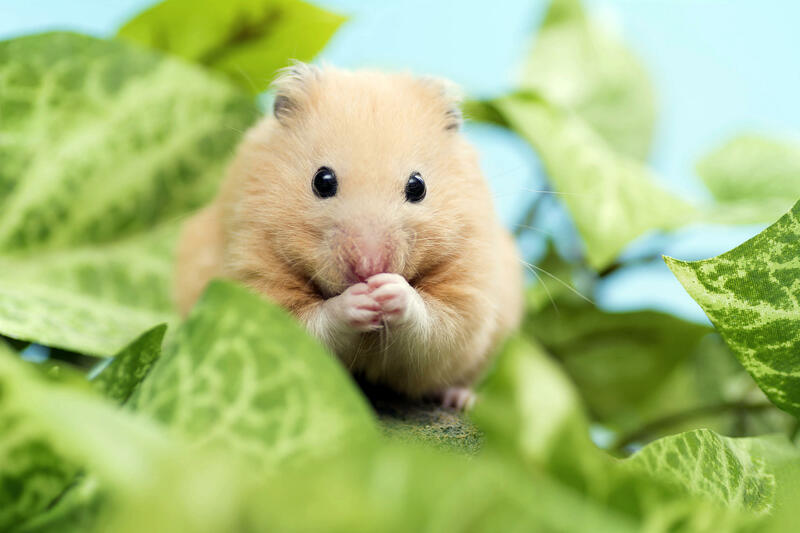 Hamsters are SO prone to kill and eat other hamsters, it's not even limited to one species. It's MULTIPLE species. Dwarf hamsters? Cannibals. Robo hamsters? Cannibals. Syrian hamsters? Cannibals. Anyway. Let's just ... look at the cute picture of the hamster again. See? Awwwww. Try to just focus on how cute this hamster is, not on how it's basically a fuzzy Hannibal Lecter.